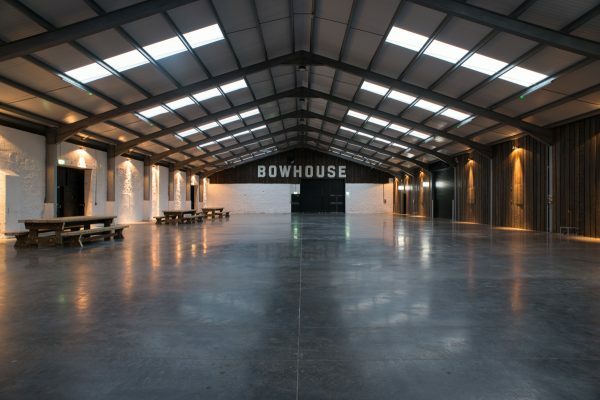 Bowhouse will host its first ever fitness and wellbeing event in the New Year, on Saturday 19th January, taking place at the unique Fife venue on Balcaskie Estate. The day promises to be packed with activities and inspiration, with more than ten different fitness classes to take part in, as well as health food demonstrations and healthy street food stalls to provide energy. Classes will take place in Bowhouse’s main hall as well as Fit to the Core’s studio, in the Grain Loft of Bowhouse. There will be a varied line-up of fitness classes, including St Andrews Hot House Yoga, Aerial Pilates, Hatton Boxing, Metafit, Zumba, Pilates, Spinnin’ and Crossfit classes as well as a demonstration from Functional Fitness St Andrews. Visitors will be able to build their own timetable of classes from this line-up to make their ideal exercise plan, or simply to try out new fitness trends. Some trends of the fitness world include Hot House Yoga, which specialises in practising in the heat, which includes benefits like detoxifying the body through sweating and allowing the muscles to stretch further. With focus on breathing, each class is a total body workout as well as a great way to reduce stress and improve sleep. And Aerial Pilates is a fun take on the traditional balance workout, suspending parts of the body just over the ground in a hammock. Classes will be punctuated with a healthy street food from local caterers, including Milly’s Kitchen from Cupar, which will be serving hearty and healthy deli style dishes. The innovative makers hub opened in 2017, and has become known for its popular Food Weekends, which promote locally grown seasonal produce and independent artisan food producers. The Fitness and Wellbeing event will open its doors at 9am on Saturday 19th January, with classes running from 10am – 4pm. Early bird tickets bought before 1st January 2019 will cost £12; £15 after that date and on the door. Book your place on Eventbrite. Bowhouse is continuing to attract a crowd of food-curious people from across Scotland and travel to the venue is easy. Train stations at Kirkcaldy and Leuchars are stops on the main East Coast Mainline with regular services to Edinburgh and Glasgow. Stagecoach bus services 95 (Leven–St Andrews) and X60 (Edinburgh–St Andrews) stop nearby. The popular seaside holiday town of Elie is under two miles away and a popular cycle ride along the Fife Coastal Path.